For many reasons, the Au Pair program has become famous all around the globe and everyday more and more families decide to host an Au Pair. 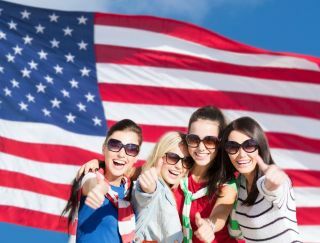 The Au Pair program in the US is still one of the most remarkable ones! There are many reasons why families decide to host an Au Pair in their home. First of all, it is an affordable solution because it is less expensive than other child care options. It is also nice to have someone living in your house to share your experiences with, especially if that person has a different cultural background. This will also have a positive effect on your children! They will receive a global education, learn about the Au Pair’s culture, get to know new values and can even be raised bilingual. The possiblity to learn a new language or an addional language is a lot easier to realize when children get used to it in their early ages. As parents, you know that no two days are the same! Work, meetings, appointments or other events constantly keep you occupied. With an Au Pair, you’ll get the chance to schedule times you need help with your children. Au Pairs can work up to 10 hours per day and up to 45 hours per week. You will be flexible to make arrangements with your Au Pair in order to simplify your life. It is great knowing someone you trust who cares for your little gems when they won’t be able to go to school because they’re sick, or due to snow days or maybe just because of the typical surprises life has to offer.